Our furry friends (plus feathered friends and other pets, too) can be costly companions. Example: Add up the bills for pet food, veterinarian visits, kennels and other expenses, and the typical dog will cost its owner around $15,000 over the course of its lifetime, according to the ASPCA—much more if the animal experiences major medical problems. The average cat costs nearly as much, and even smaller pets such as guinea pigs, rabbits and birds can cost thousands of dollars to keep. Buy pet medicines online or in ­affordable pharmacy chains. Many veterinary practices add large markups to medicines. In nonemergency situations, check for lower prices on 1800PetMeds.com and PetCareRX.com—you might save as much as 50%. (For nonprescription pet medicines, also try Amazon.com, which recently purchased Wag.com.) Most Costco, Kroger and Walmart pharmacies sell veterinary medications at low prices, too, though they tend to stock only a modest selection of pet meds. Buy pills meant for larger pets and cut them to size. Because dogs vary greatly in size, dog medicines tend to be available in dramatically different dosages for large, medium and small animals. But while a pill meant for a 100-pound dog likely contains four times as much medicine as one meant for a 25-pound dog, it often costs only a little extra. With many drugs, it’s safe to buy pills meant for a larger animal and use a pill splitter to divide them into the appropriate dosage for a smaller animal. Never do this, though, unless you have confirmed with your vet that it is safe to do with the specific medication. Use the vet in a nearby small town. Veterinarians in upscale cities and suburban areas often charge significantly more than those in more rural or economically modest areas. 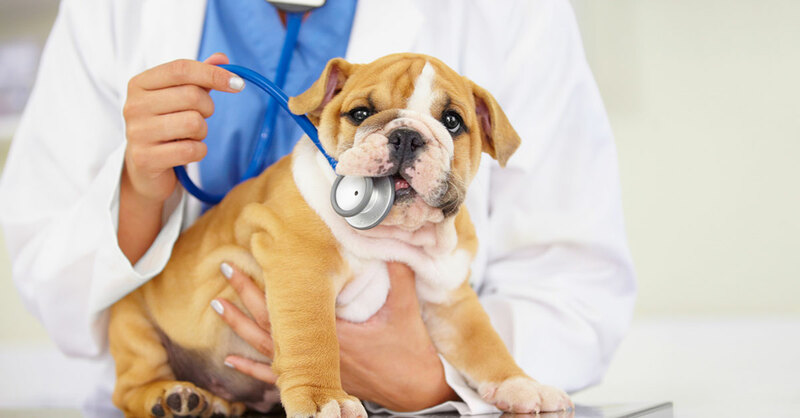 Call veterinary offices within a half-hour drive of your home, particularly those in areas with lower real estate prices, and ask their rates for basic checkups as a quick gauge of their overall prices. You might save $20 to $100 or more per visit. Alternative: If there’s an accredited veterinary college in your area, it likely offers veterinary services at low rates. These services usually are provided by veterinary students, but those students are overseen by highly experienced veterinarians. Ask local humane societies and SPCA chapters about affordable pet-vaccination programs in your area. Some pet-oriented nonprofits offer vaccinations on certain days of the year for less than a vet’s office is likely to charge—often just $10 to $15 per vaccination, compared with $15 to $30 for the same vaccinations from the typical veterinary practice. Find affordable dog boarding, walking and sitting services on Rover.com. This is the Uber of dog care—people make a few extra bucks by ­offering animal-care services through the website. In many areas, you can find people willing to walk a dog for as little as $15…or take a dog or cat into their homes (or dog/cat sit in your home) for as little as $20 or $30 per night, though rates vary. The site includes ratings and reviews of care providers from other pet owners so that you can select someone likely to take good care of your pet. Not only does that tend to be less expensive than kennels, it’s great for pets that dislike kennels. Alternative: Make a deal with another animal lover in your area to take in each other’s pets when you travel. Make sure all of the pets involved accept the presence of the others in a home before doing this. Ask pet stores whether they offer special deals for owners of recently obtained pets. If you get a new pet, there’s a good chance that you can get some great deals from nearby pet-supply stores. Many stores, in particular chain stores, offer valuable coupon books to new pet owners in hopes of earning their ongoing business. Example: PetSmart’s “Adoption Kit” includes a free private-training session…a free day of doggie day care…a free overnight boarding stay…a free bag of food…and a half-price grooming session. Take training classes on YouTube. Before you pay hundreds of dollars for pet-training classes or one-on-one sessions, try the free training videos on YouTube. Just type in the species of animal, the word “training” and the specific skill you are trying to teach or troubling behavior you are trying to stop. Choose pet food based on price per serving, not price per pound. Inexpensive pet food is not a money saver if it’s so full of “fillers” such as rice and corn that you have to give your pet larger-than-normal servings so that the pet gets the nourishment it needs. Dog- and cat-food packaging usually includes a “Recommended Daily Feeding Chart” that lists serving amounts for different-sized pets by weight. These guidelines report the amount of the food that an animal of a particular size is likely to need to obtain a balanced diet, according to the guidelines of the Association of American Feed Control Officials. Compare brands by comparing how many servings your pet would get for each dollar spent. Price pet food online and in chains that beat grocery store prices. Websites such as Amazon.com, Chewy.com and Walmart.com often undercut grocery store and pet-supply store prices on pet food by 10% to 20% and frequently offer free or low-cost shipping. (As a bonus, the potentially heavy bags of pet food will be delivered right to your door.) If you prefer to shop in brick-and-mortar stores, Walmart and Tractor Supply Co., a chain with 1,700 stores across the country, often charge less for pet food than do supermarkets and pet-supply stores. It’s worth checking these sellers’ pet food prices even if it’s more convenient for you to buy from a nearby pet-supply store—some stores will match other retailers’ lower prices. Use a food dehydrator to make pet treats. Most dogs and cats love dried meat treats, but these can be pricey in stores. With a food dehydrator, you can buy meat when it’s on sale at your market and then make inexpensive dried meat treats at home. Enter the terms “dehydrator,” “treats” and “dog” or “cat” into a search engine to find recipes. Purchase pet toys that were not meant to be pet toys. If your dog plays with tennis balls, they’re usually significantly cheaper in the sporting-goods section of a store than in the pet-supply section. If your pet likes to play with stuffed animals, you often can find these used at thrift stores for just 25 or 50 cents apiece. (Wash them before giving them to your pet.) Most cats would just as soon chase a piece of string tied to the end of a stick or the dot of light from a laser pointer as they would play with something that’s marketed as a cat toy. Enter “cat toys” and “homemade” or “DIY” into a search engine to find many more options. Buy fish tanks and animal cages at thrift stores…or look for postings on Craigslist.com. Great deals on secondhand fish tanks usually are available—some families don’t enjoy having fish as much as they expected or get rid of them when their children grow older…and others can’t bring fish tanks with them when they move. Used animal cages can be good buys, too—just be sure to thoroughly clean any secondhand cage (or tank) before using it for your pet.